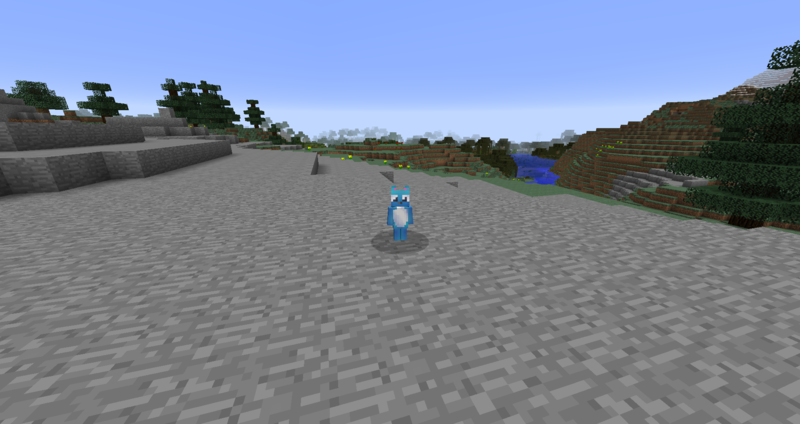 I've been rather busy working on another project but progress is being made with this mod. I've updated the post with some new images that show visible progress and but not a lot of that exists as a lot of work has been put into the backend stuff that people never really see. Probably not gonna be at that period for a bit still. Exceed model being used for the player. Awsome screen shots keep up the God work and as a wise man once said "just BELEIVE IT!" exceed model is so cute <3, very happy (pun intended) to see the mod moving along! Yeah the first few attempts looked a bit ugly so I'm glad that this one has the cute vibe to it. I've pretty much got the prosthetic limb system done and the various parts such as eyes, skin, hair can be colored in code with full multiplayer compatibility. Will this mod override your default skin, so you can use it to make a custom player model? Also, will it be adding clothing? 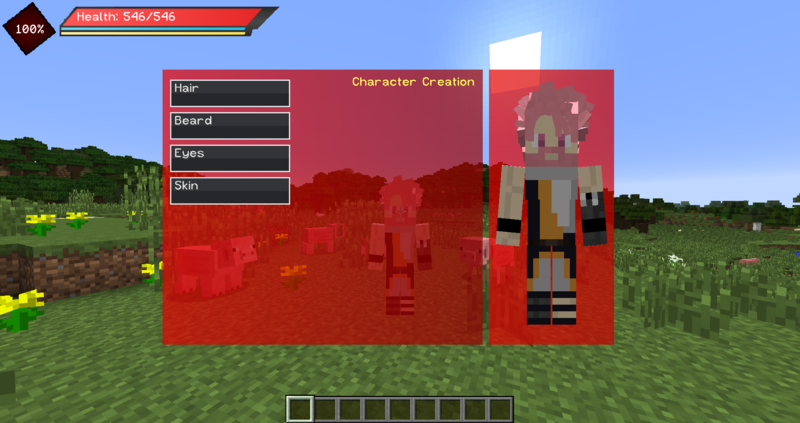 You have the option in the character creator to use the custom skin or your vanilla skin and yes I've already made some natsu clothing. I'll also be releasing a video soon that should clear up a lot of confusion. Character creator is going well + beards! Will there be a indef fighting system like kicking and parrying. Not sure what you mean by Steve hair but I plan to make a rather advanced and well thought out combat system.